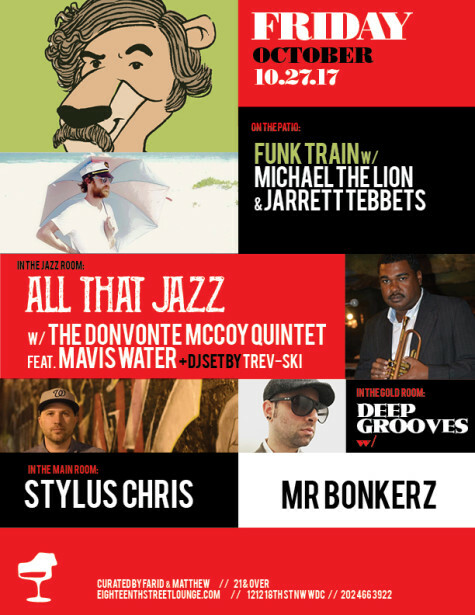 All aboard – the Funk Train rolls back into DC after recent stops in the UK and New York. This time, Hot Mass disco chief Jarrett Tebbets will be heading in from Pittsburgh to grace the wheels on the Eighteenth St. Lounge patio. And wouldn’t you know it, he and I will be doing a home-and-home series, with a Michael The Lion set at Hot Mass in November (check the sidebar for the details).